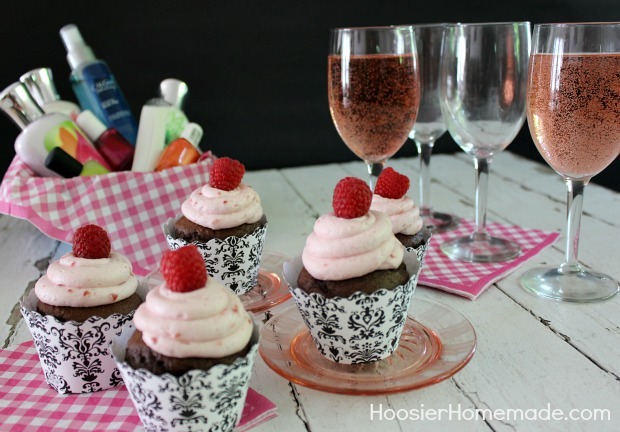 Treat your girlfriends to a special Girl’s Night Out with these Chocolate Raspberry Cupcakes! A simple box cake mix gets dressed up with Chocolate Mousse, Fresh Raspberry Buttercream Frosting and a Cupcake Wrapper from Bella Cupcake Couture. 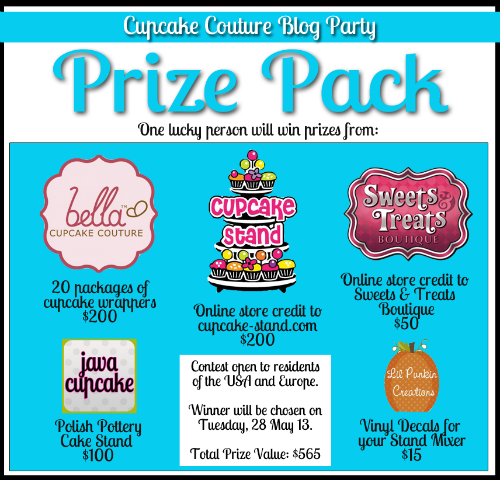 I’m excited to be joined today by amazing cupcake bakers for the Cupcake Couture Blog Party, sharing their recipes along with a Cupcake Giveaway! If you have been following Cupcake Boot Camp, you have been learning a little more about cupcakes and how simple they can be. 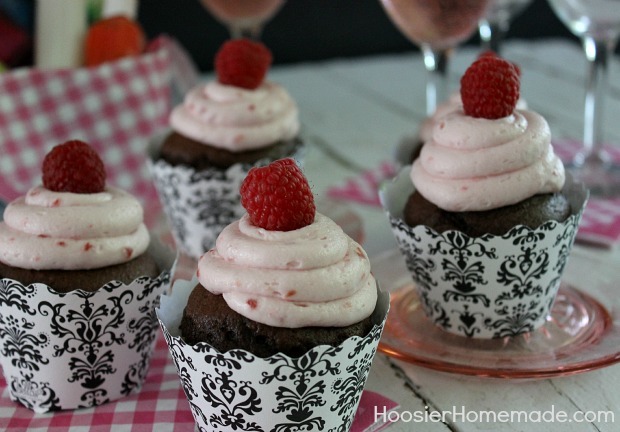 You can dress up an ordinary box mix cupcake by adding a delicious frosting and a cupcake wrapper, like the Damask Cupcake Wrapper I have around the Chocolate Raspberry Cupcakes. Add a little wine and a basket with lotions and finger nail polish and you have a fun and super easy Girl’s Night Out. Contest opens May 21, 2013 at 0700 PST and closes May 27, 2013 at 2359 PST. One winner will be chosen and announced within 24 hours of the contest ending. Winner will be contacted via email to claim their prize. This contest is open to residents of the USA and Europe only. I just love, love, love these!!! liz, love your cupcakes and set up! so fun! I love the Dorothy polka dots! loved, loved, loved how you styled the cupcakes – so fancy! That is a great classy combination. I love the black and white wrappers too. Chocolate and raspberry, always an amazing combo. Chocolate mousse sounds so good in these. One of my all time fav combinations. I bet these were sooo good, I can almost taste them looking at these pics!! There is no girls night out for me without cupcake and/or champagne. GNO staples! These cupcakes are gorgeous. 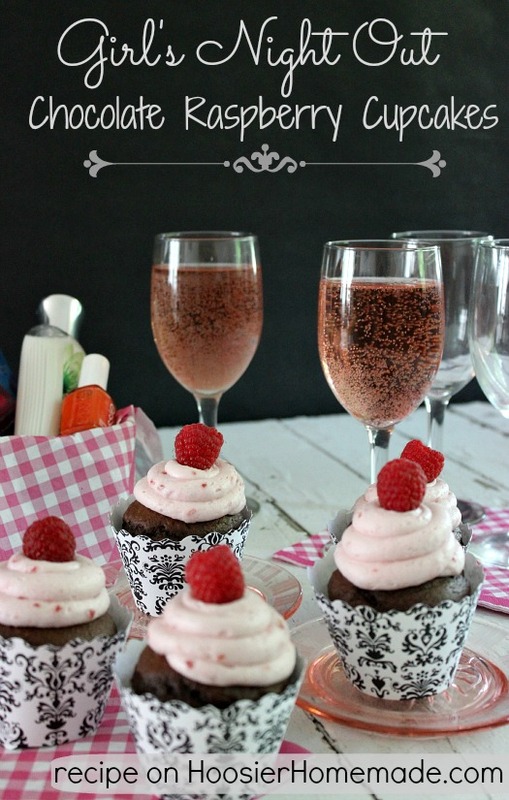 I’m pretty sure I need all that champagne with my next batch of cupcakes! These look great! 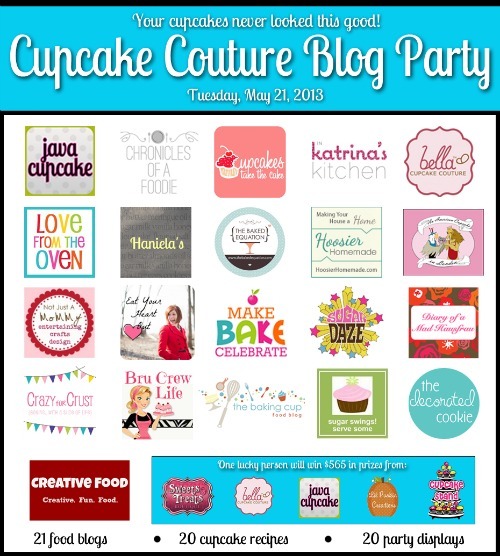 Thanks for being a part of our Blog Party, Liz! !